With an idea to abridge the gender gap Mr. Nitin Jain and Mr. Navneet Jain have come forward to lend their support to lesser privileged men and women. It was a thoughtful contribution from them considering the fact that most cloth donations that we have received so far were meant only for men and children. Items donated by them include: Men and women clothes, children school bags, plastic & soft toys, electronic toys and other useful miscellaneous items. 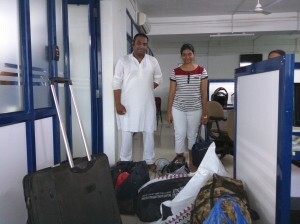 LetsNurture team would like to thank them both for their sincere donation and support. 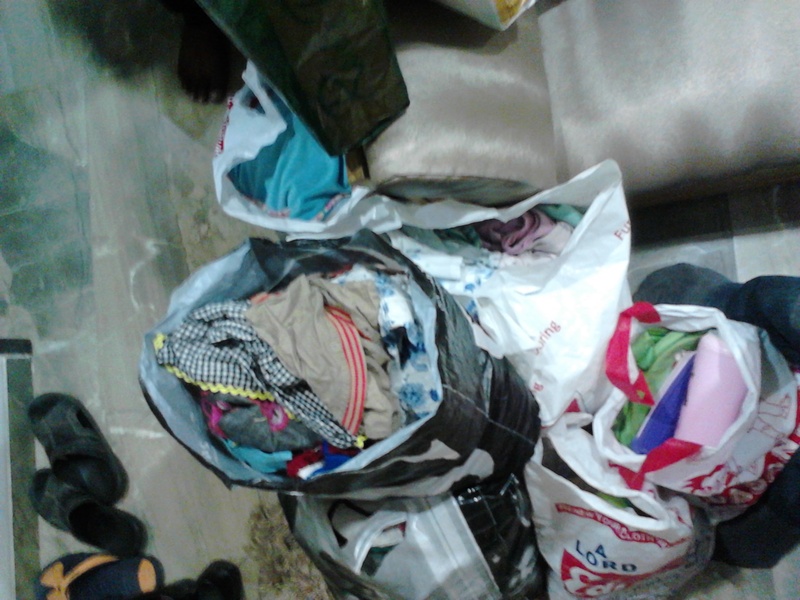 We are happy to announce that the generous donation of clothes that were entitled to the LetsNurture team for the charity purpose, have been distributed to the lesser priviledged individuals and assisting laborers in the village near South Bopal and in the regions covering the Ghuma gam area. As many as fifty laborers have been benefitted from the generous offerings. Some of the benefitiary laborers are put up behind Bhagvat Bungalow and a handful of others reside near Arohi Bungalows. It was our priviledge to see the smile and sense of contentment on the face of the receivers. 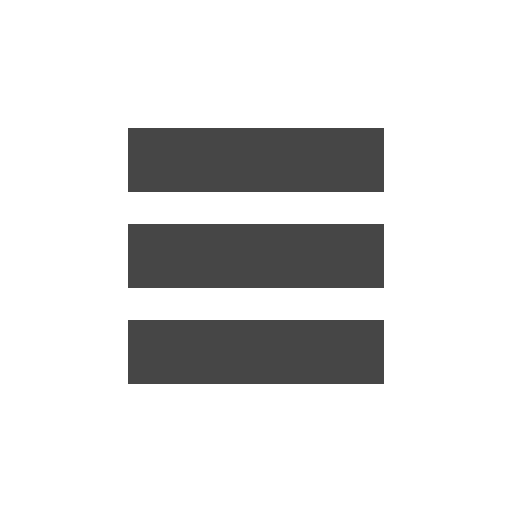 In the last few months LetsNurture has observed frequent donations from people of Ahmedabad and from the cities across Gujarat. 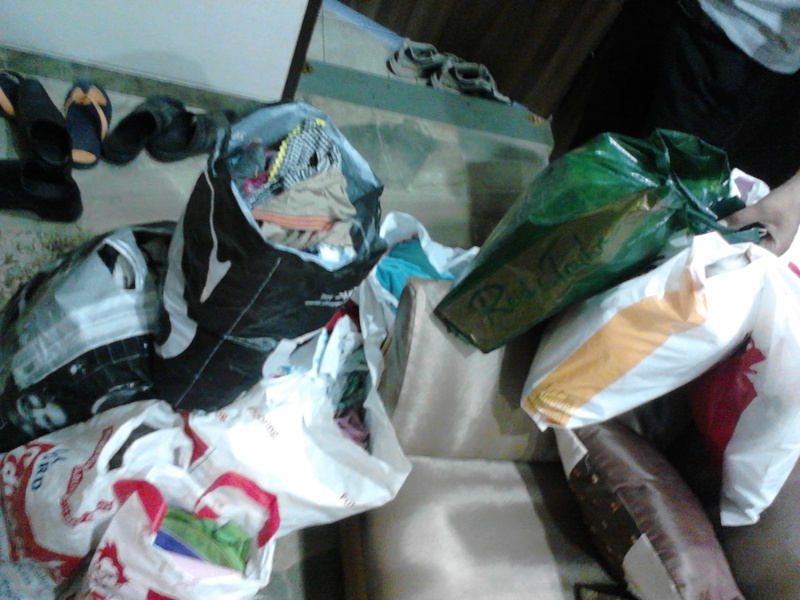 People have been kind enough in lending their support for the needy in the best possible manner. Some of the donors were able to locate us through our community welfare website www.letsnurture.org and many came in contact with us from the word of mouth hearing from few of our regular donors. Some contributed in the form of toys, whereas others donated wearable clothes and shoes for the underprivileged children and the financially deprived families. In this financial year end, we have received yet another donation from a noble soul in the form of used clothes and shoes. 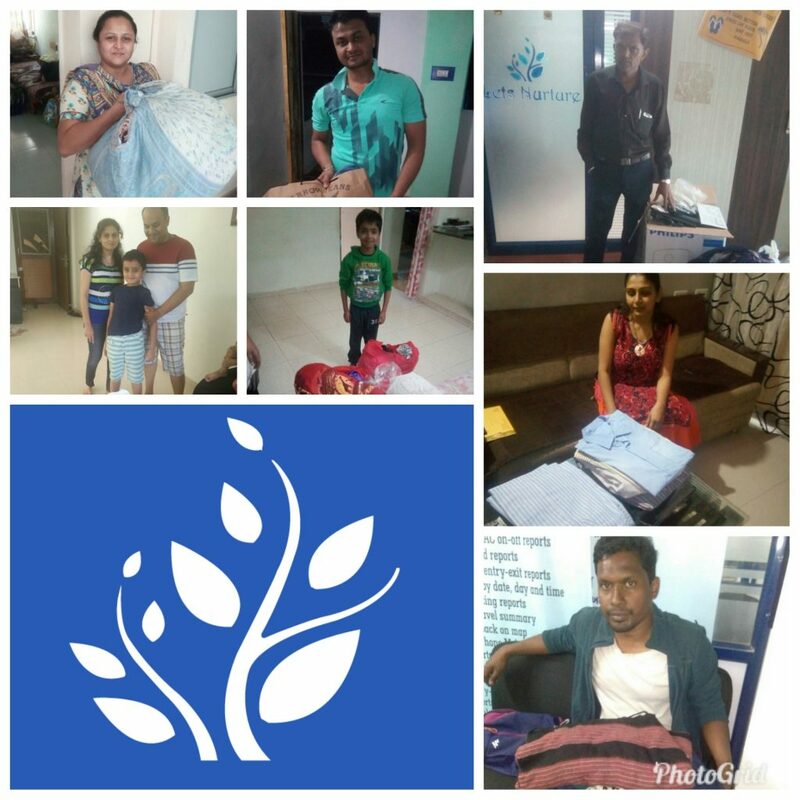 Our team at LetsNurture would like to thank Mr. Raseek Patel, who usually donates wearable clothes all by himself to the actual needy, for trusting LetsNurture in taking forward donation to the right ones. A toy is to a children. Toys bring smiles on the faces of children providing them with the entertainment and fun that makes them happy and content. Our team at LetsNurture would like to thank Mr. Vivek Ponnani for sparing their time to come to our place and donating toys. Thank you sir for your donation and kind consideration. Almighty has given enough to satisfy all our needs and at times even showered His blessings by providing more than we actually deserve. Some of us realize it and lend their support in whatever possible manner. With an idea of serving the society, Mr. Atul has considered Lets Nurture.Org as its trusted partner in contributing to social work. 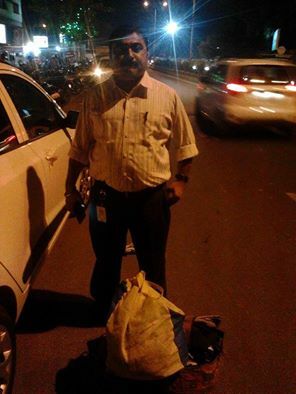 Team Lets Nurture, would like to thank you sir for your contribution of old clothes and accessories. We ensure you that it will be used for rightful purpose. The more you give the better you sleep. This is the beauty of giving and something that everyone should follow. The satisfaction you receive by giving has no measurement and while you give, you receive more- the unconditional blessings! We found one such beautiful soul in Mrs. Mehra, who lives nearby Grand Bhagwati. The clothes she donated is going to help a few this season. Her kind gesture was well received by the people and the happiness was palpable. Her selfless act has made a few people happy and that’s what make Lets Nurture happier. We are thankful to her and hope to see more of it. God bless you! This philosophy is the thing that keeps humanity going. The world is a big place and certainly it’s not possible for you to serve each and every needy person. But you can feed a few mouths, and be a helping hand to some. Moreover, people who really want to help others will always find their way to reach out the people in need. They won’t wait for a right time, they will make a time right by giving. Ms. Namita Shrivastav from Vejalpur area is one such Samaritan who reached Lets Nurture to do her part of the charity. 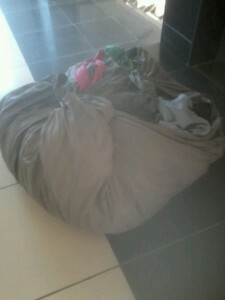 Her donation came in the form of clothes. We must say the grin on the faces who received the clothes, was a sight to remember. We are amazingly appreciative for her kind gesture and wish her all the best for the time to come. 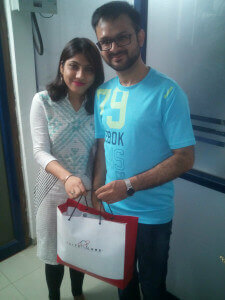 Lets Nurture Thanks Dipti Sharma for her Bighearted Gesture! The deed of giving forms the very foundation of the world. And thank god, there are people who are always ready to give away with a lot of happiness in their heart! Lets Nurture is proud to be a medium that renders delight to the needy in form of clothes, vessels and other things of necessity. We have been blessed with people around us who offer whatever they like with good will. 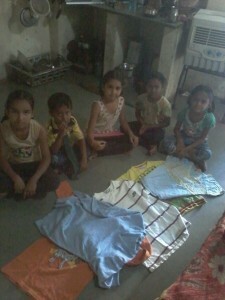 Recently, we received a call from Dipti Sharma who was willing to give clothes for the needy. A resident from Shilaj, Ahmedabad, was willing to give away a huge bundle of clothes and accessories for the less fortunate which she carefully packed in boxes. 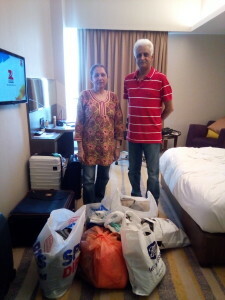 The team Lets Nurture collected clothes from her place and thanked her for the sincere and heartfelt gesture. If you too are willing to lend a helping hand, get in touch with us through www.letsnurture.org. Keep donating and bring a smile on he faces of necessitous!